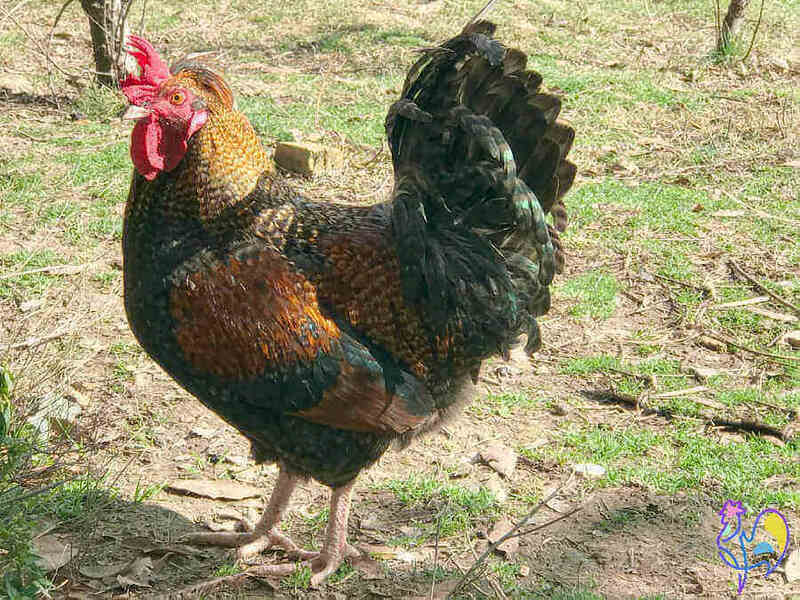 Sudden Death Syndrome: why chickens sometimes die unexpectedly. Sudden Chicken Death Syndrome: Why chickens sometimes seem to die randomly. One minute you have what seems like a perfectly healthy, happy chicken running round the yard eating normally and enjoying life. The next thing you know she has suddenly died. In this article I look at the evidence about Sudden Chicken Death Syndrome: what it is, why it happens and whether there's anything we can do about it. 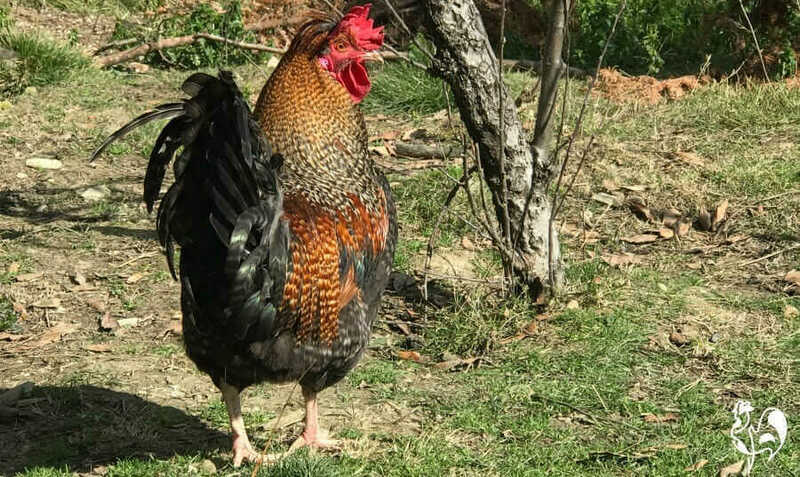 If you've lost a chicken in what seems to be a strange, unexplained way, this information might help you come to terms with your loss a little more easily. It's not that unusual, is it? I mean, everyone loses chickens. It's the way of the world, part of the normal cycle of life and death, something that happens to us all. And it happens to chickens more than most species. They get killed by predators, or taken by disease, or become egg bound, or get mites, or Marek's disease, or any one of a number of other things. Except - this one didn't. This one was what many veterinarians and scientists in the poultry health world refer to as "Sudden Chicken Death Syndrome"(1). You may be able to identify with the way it affected me. Have you lost a chicken recently? I know just how you feel. I made this video just a few minutes after I'd found one of my favourite roos ever, Charlie (named after Prince Charles!) lifeless in my coop one morning. There are no graphic pictures, just my reaction to his death. 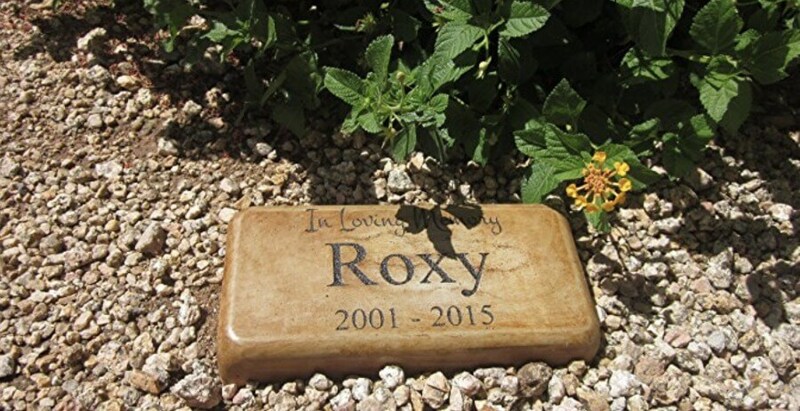 Would you like to leave a tribute to a much-loved chicken? Click on this link. Possible causes of Sudden Chicken Death. So what caused Charlie just to die like that, without any signs of illness or attack? There are several things it might have been. Chickens are very good at disguising illness and death can come notoriously suddenly. 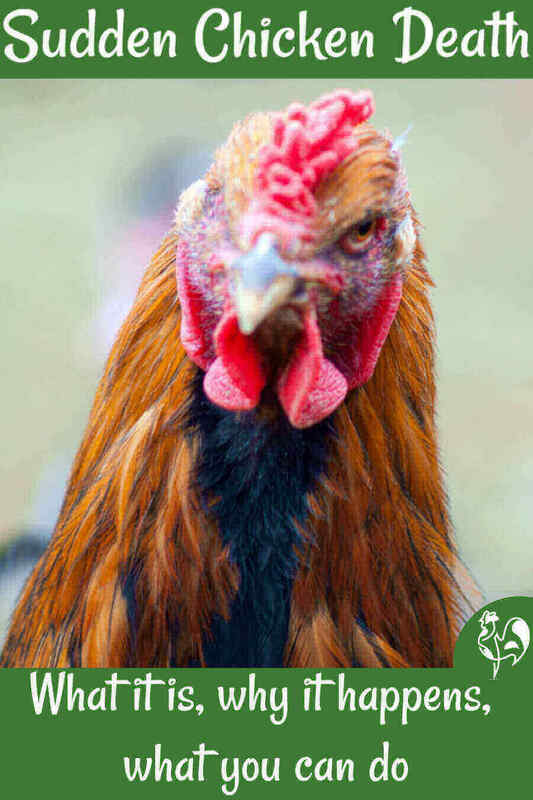 Without performing a necropsy - the poultry version of the human autopsy - it's impossible to know exactly what happened to him. A thorough external examination disclosed no obvious causes. A hen may be egg-bound without it being obvious. This, of course, couldn't be an issue for Charlie. 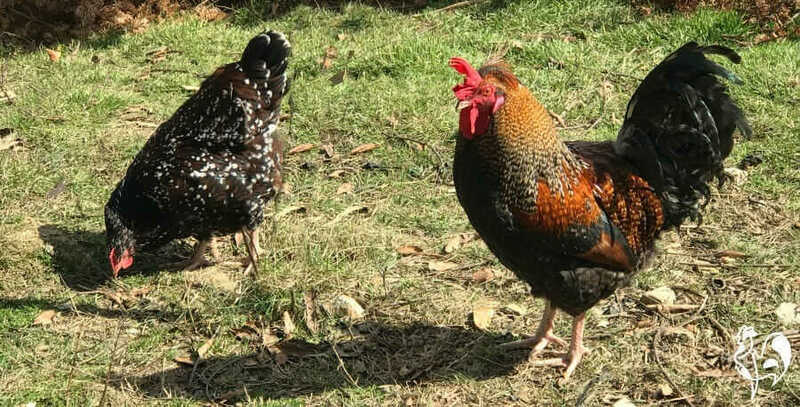 A bird may have been trampled by another chicken and suffered internal damage. This is possible, but unlikely. Charlie was a large bird, and he tended to sleep by himself, on top of a bale of hay. He liked to be up there to keep an eye on the rest of the flock. Most commonly, a chicken may have had a heart attack, or heart failure. This happens most often with male birds who die unexpectedly. It's certainly a possibility with Charlie, although he had shown no signs of heart problems. His breathing was normal, he was crowing regularly and I never saw him gasp for air. Charlie - a healthy, happy roo with no obvious signs of illness. To be able to confirm Sudden Death Syndrome as the specific cause of death, the chicken would be seen to have had convulsions and extreme wing-flapping for just a few seconds before s/he died. I hadn't been in the coop when Charlie died, so I have no way of knowing whether that was the case with him. So the most likely issue with Charlie, of these possibilities, was heart problems. What could cause heart problems in Sudden Death Syndrome? This condition is most often found in commercially produced 'broiler' hens who are made to put on weight very quickly so that they can be killed and sold within weeks of hatching. Clearly that is not the case here - Charlie was part of my small, backyard flock and had put on weight appropriately over the ten months since he hatched. Excessive light: Commercial birds are kept in more or less constant daylight conditions all year round, to force them to be more productive. My chickens have only natural light - I don't even use artificial light in their coop. Diet high in glucose: Commercial poultry are fed pelleted food high in glucose so they put on weight quickly. 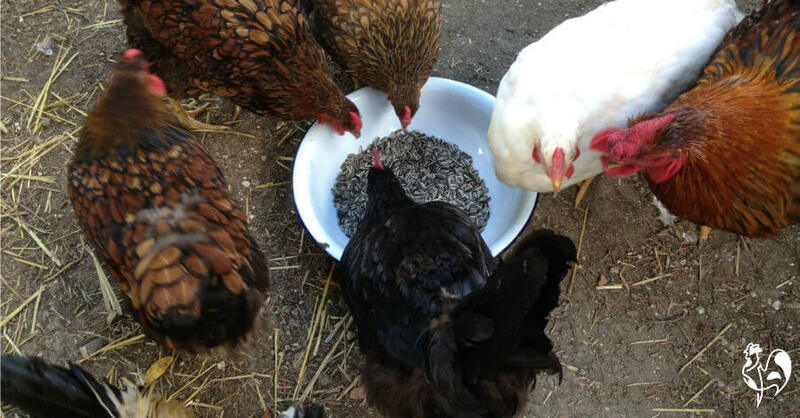 My chickens have organic feed, and occasional appropriate treats such as mealworms, lettuce and sunflower seeds. So, not a likely cause here. No exercise: Charlie, like all my chickens, had a very large run where he could scratch around from dawn to dusk. The flock is also allowed to free range over several acres when our Guardian Dog is there to supervise, and there are trees within the run for them to roost in if they want to. Charlie's favourite was our beautiful, 40 feet high bay tree. So lack of exercise does not apply here. My flock enjoy free-ranging and finding bugs for themselves, with the occasional piece of fruit as a treat. So if it wasn't any of these things, what did cause this sudden death? Well, sometimes death is just part of life - the way of the world. Sometimes, even with the best care, a wonderful coop, the best food, the nicest occasional treats, a good place to scratch and peck - sometimes none of that matters. I admit, I find that hard to accept. So does anyone who has ever had a chicken, or any other animal, die suddenly and without obvious cause. I like to be in control of things, to understand why something happens. But sometimes we just have to accept - it's likely to have been "one of those things". So - what could I - what could you - have done differently? That's always a question we all ask ourselves when something like this happens. But in this case, and many others like it, I honestly believe - nothing. Even if it were a case of Sudden Chicken Death Syndrome, research indicated little that can be done short of those things I have already mentioned. But here's some things that both you and I can consider in the future care of our chickens. Adding some sunflower seed or oil to the diet appeared to help in some cases. In this case, my flock was already being given these as a treat. We're lucky enough to have sunflowers all around us in Italy, so the seeds are fresh, organic and plentiful. Some of my flock, chowing down on a sunflower seed treat. After the event, keeping an eye on the rest of the flock is a given. If there were some kind of infection, I would see more deaths in the few days following. So far, there have been none. I could of course have performed my own chicken necropsy - the poultry version of an autopsy. So I could have used the scalpels I keep in my First Aid kit and opened him up. I might have found something. Perhaps he was infected in some way. Perhaps his lungs were struggling through some illness that I couldn't see, or hear. But I have to hold my hands up. I don't have the stomach for that. Maybe at some time in the future, with some other chicken, I might. But with Charlie? I just couldn't bring myself to do it. What can you and I do now? When any of us has any animal who dies without warning - or indeed dies at all - there are some things we can do. Here's what I did - and these are all things you could do in the same circumstances. I reminded myself that Charlie had had a good life with me. He was raised in a nice warm house when he was little and when he was big enough he went to live outside in a large, clean, comfortable, stone built, real Italian chicken house. He had a lot of land to range in. He ate figs ripe from the tree, still warm in the Italian sunshine. He had friends around him. He had a seven foot high, three feet deep strong chain link fence to keep predators out and, to be extra sure, he had Luce the Maremma as his Guardian angel. Knowing this, I know he will never have felt unsafe in his short life. His run and the land he free ranged on was in a peaceful Italian valley, where the air is clear and warm, and the village looks down benignly and keeps its eye open. And, perhaps most importantly, he was loved. He was a lucky roo. Goodbye, Charlie - I'll miss you. Has Sudden Chicken Death Syndrome affected you? There is no more you can do. Don't beat yourself up. These things happen. It's hard, but we need to look at the positives your chicken had while she or he was with you. In the end, that's all any of us can hope to say. You may find it helpful to have a look at this page too. When my chickens were killed by a fox family in 2013, I couldn't find anywhere I could write something in memory. If you follow my link by clicking here, or on the picture, you'll be taken to my page where you'll be able to read some chicken 'In Memoriams' and, if you'd like, to write one yourself. 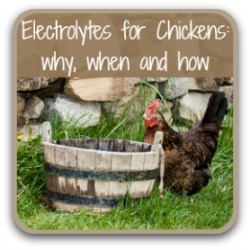 Here are some articles about keeping chickens healthy. I hope you find them useful. 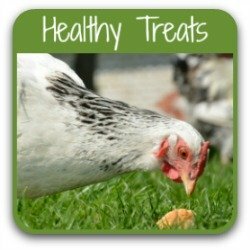 What are healthy treats for chickens? Find out here. Make your own healthy electrolyte drink. 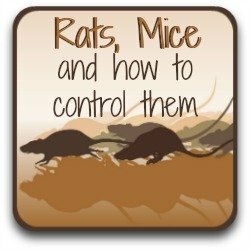 Controlling rodents for chicken health. Get my free newsletter and downloadable e-book. 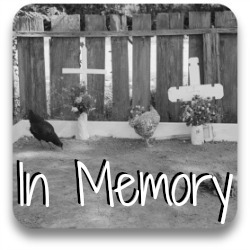 A memorial to your chicken. Sometimes it's good to have a special place to sit and think about pets you have lost. For me, it's a woodland dell near my chicken run. Theres a problem with that, though. I need to be able to know where, exactly, my pets are. The way to do that, I've discovered, is to have a stone in their memory. It's hard to find a stone without paw prints. Which is fine for a dog or cat, but not for a chicken. So I found this one, which I love. It works for any animal. It's classy. It's heavy. It's a beautiful way of remembering. Buy it on Amazon by clicking on the picture, or on this link. In order to give the best and most accurate possible information about chicken diseases, I rely not on 'word of mouth' but on scientifically proven, peer-tested authorities. The sources below are the specific publications I have consulted when learning about Sudden Chicken Death Syndrome. Government of Saskatchewan : 'Poultry Health and Disease'. November 2007. M. F. Siddiqui et al : 'Sudden Chicken Death Syndrome - An Overview'. Post Graduate School of Veterinary and Animal Sciences; published in Veterinary World, Volume 2, November 2009. UK Department for the Environment, Food and Rural Affairs (DEFRA) : 'Poultry Farming: Health Regulations'. June 2013.